MOSCOW, April 6. /TASS/. 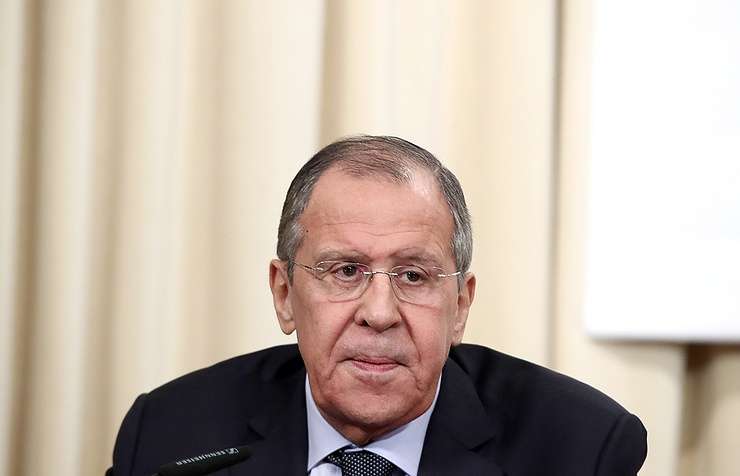 Russia supports UN efforts to normalize the situation in Libya through elections and a constitutional reform, Russia’s Foreign Minister Sergey Lavrov said in an interview with Egypt’s Al Ahram newspaper published on Saturday. “We support the effort of the UN special envoy for Libya, Ghassan Salame, to put into practice his roadmap for normalizing the situation in Libya through free and fair general elections and a constitutional reform,” he said. “We hope that the pan-Libyan conference in Ghadames, to be convened by the [UN] special envoy in mid-April, would help to achieve some progress toward implementing the goals [of Libyan settlement],” Lavrov said. In the meantime, the Al-Hadath television channel said that at a meeting with Antonio Guterres in Benghazi on Friday, Haftar notified the UN Secretary General that he would not negotiate with terrorists but would liberate Libya’s capital from them. According to the sources cited by the TV channel, Guterres asked Haftar to abide by generally recognized rules for military operations and by the international laws. Hey Buddy!, I found this information for you: "Russia supports UN efforts for Libyan settlement — Lavrov". Here is the website link: https://russophile.org/russia-supports-un-efforts-for-libyan-settlement-lavrov/. Thank you.